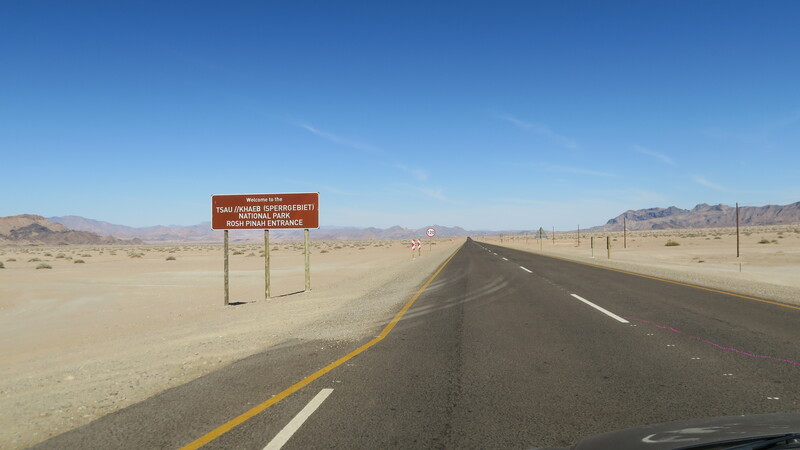 Self Drive Namibia: Our Itinerary – Got the Passports? 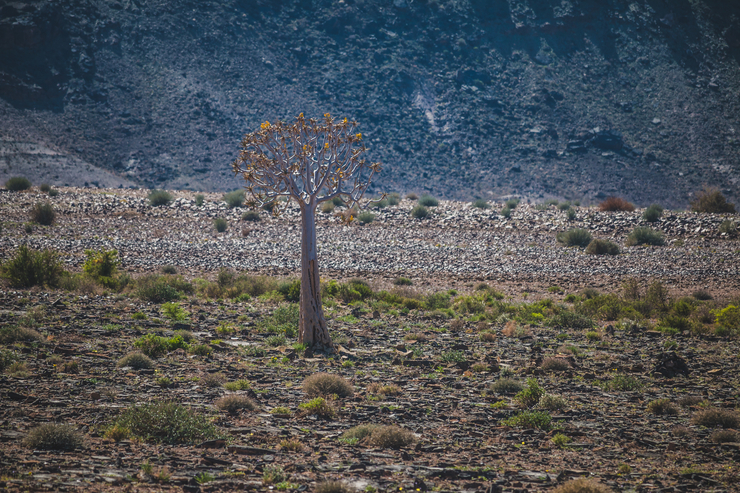 Namibia is a beautiful and unusual country. Popular for being one of the safest countries in Africa to travel, its combination of old German colonial architecture and rustic natural landscapes makes it a “movie set” holiday destination for both local and foreign visitors. We decided to brave the great outdoors and drive up from Cape Town in our Opel Corsa, eek! While it was one hell of an adventure (and possibly not the best idea), there are some great places to visit in Namibia. 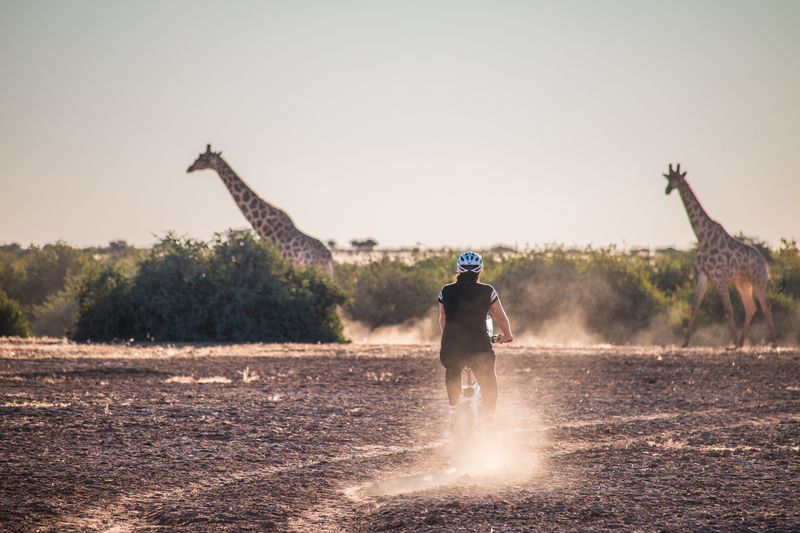 2018 saw us do a little “u-turn” tour of Namibia that spanned just over two weeks. This is the self drive route we took in our little Opel Corsa. Yes – it is possible to go in a sedan, however, a bakkie (pick up truck) will give you a far better experience. We planned our Namibia itinerary according to distances between each location as we did not want to drive more than 9 hours a day.This trip can easily be done in reverse, however, we recommend driving as far north as possible, as soon as possible, in order to reduce the amount of time you drive into the sun. Blue is going north, green is going south. 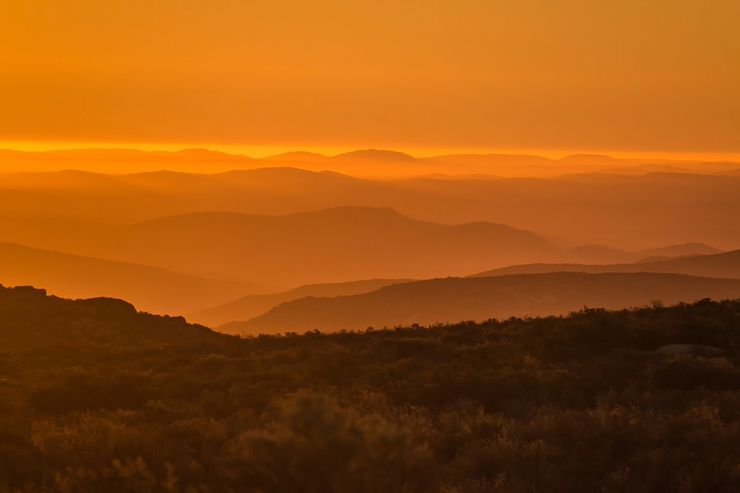 Attractions: Most incredible sunsets over 100 valleys you were ever see! Also, gemsbok. Perks: Stone houses located between large boulders. 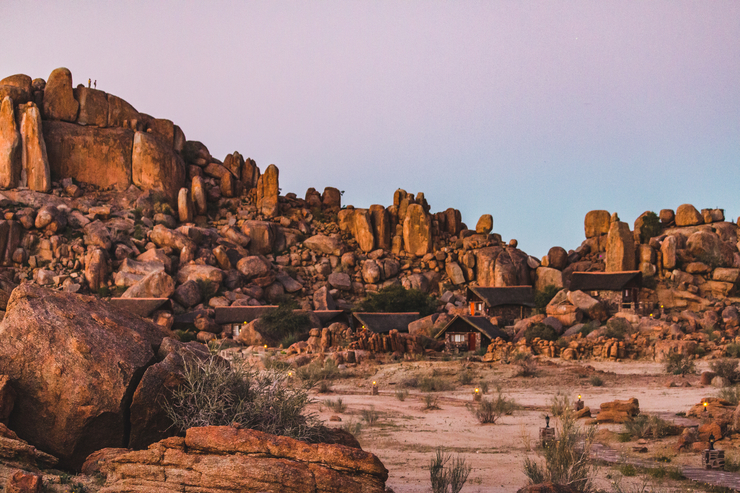 Canyon Lodge is a wonderful, western themed collection of stone houses perched between large stone boulders. Located just 30 kms away from the Fish River Canyon, it’s an interesting accommodation choice if the Fish River Canyon is on your bucket list. Perks: Affordable and large accommodation near the airport. Arebbusch is a local travel lodge that provides accommodation for a variety of travellers. Camp on site or hire a large room hugged around a large blue pool and water feature. Arebbusch is great for large groups or visitors needing to be close to the airport. Perks: 10kms for the entry gate to Etosha. 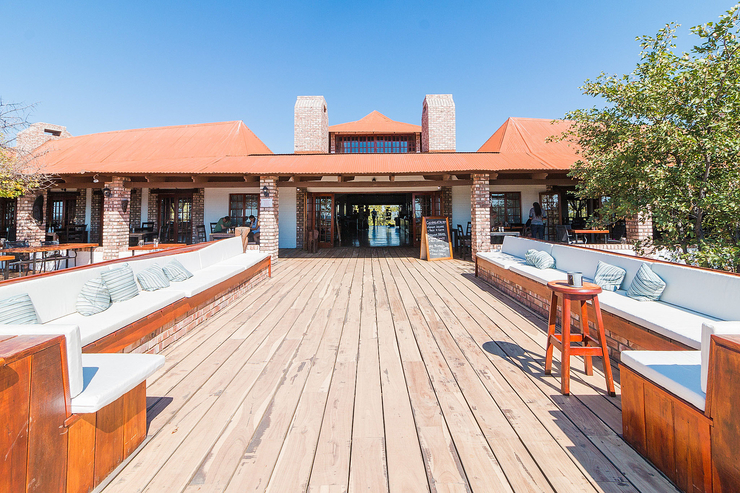 Attractions: Beautiful jetty deck for sundowners. 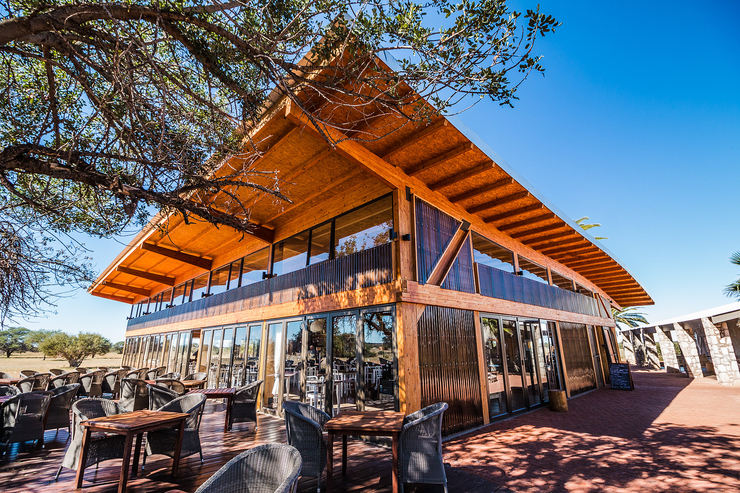 Etosha Safari Lodge forms part of the Gondwana Collection and offers easy access accommodation for those who have not managed to book within the game park. The deck, pool and catering forms a great start or end to the day, however, the accommodation is not value for money. Perks: Romantic restaurant with beautiful views. 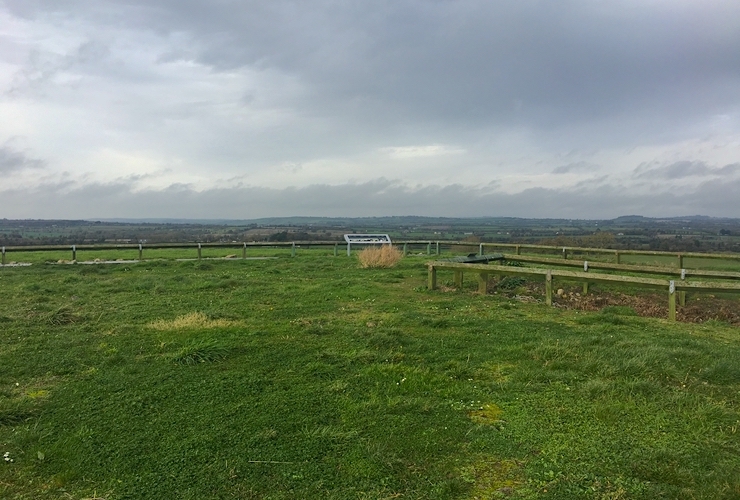 Attractions: Exquisite views across the capital. 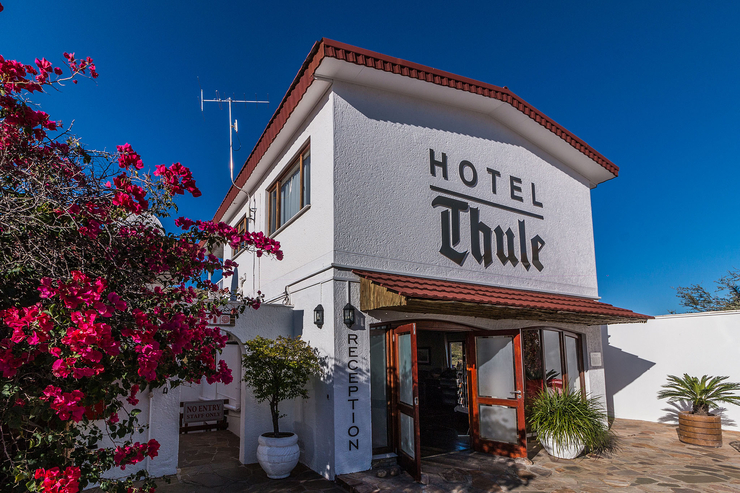 Thule Hotel is located on the high hills of Windhoek and offer excellent views across the city. With a nod to old Hollywood with large, single palm trees, the Thule hotel is a touch of luxury in the city’s capital. Perks: Best looking hotel in the Gondwana Collection. Attractions: Phat bike rides with giraffes! Kalahari Anib Lodge was not on our original tour route, but after learning we couldn’t reach Sossusvlei via Swakopmund in a Corsa, we redirected our trip to Kalahari Anib Lodge in order to drive on as much tar road as possible. Boy were we glad we did! KAL has the most wonderful bar and offers fun activities at the venue, including electronic bike rides with a dozen beautiful giraffes. Perks: Incomparable views of the black Namib sky. Attractions: Sleeping under the stars. 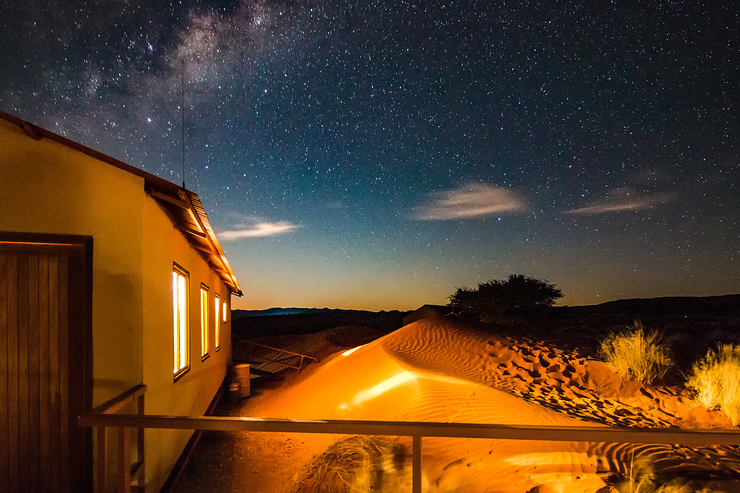 The Namib Dune Star Camp is a location of a lifetime with guests being limited to one night’s only accommodation under the milky way. Small groups are chaperoned into the desert and into the dunes to sleep in prefab houses under the stars. Trip feature of a lifetime. Perks: Access to Sossusvlei (4×4 only). Attractions: Fossilized dunes harbour the lodge. 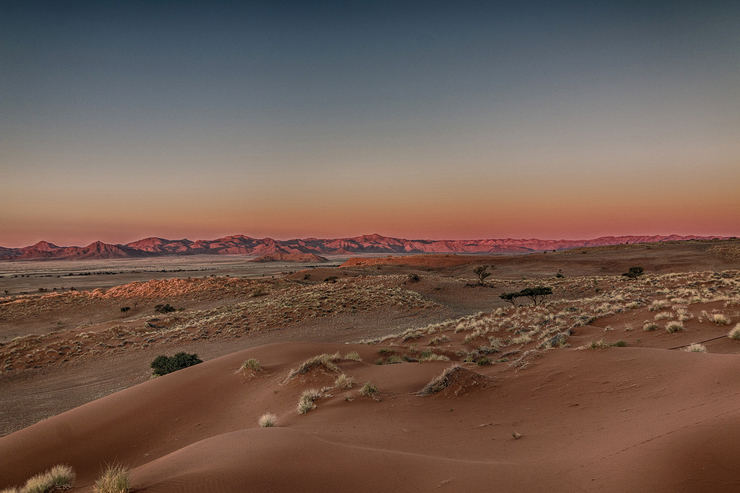 Namib Desert Lodge lies at the bottom of thousand of years old fossilized dunes! Guests are able to enjoy dune walks through easy accessible pathways. Sossusvlei is located 60kms away, however, the roads were too poor of us to access the dunes (we tried), so 4×4 only if this is your pick! 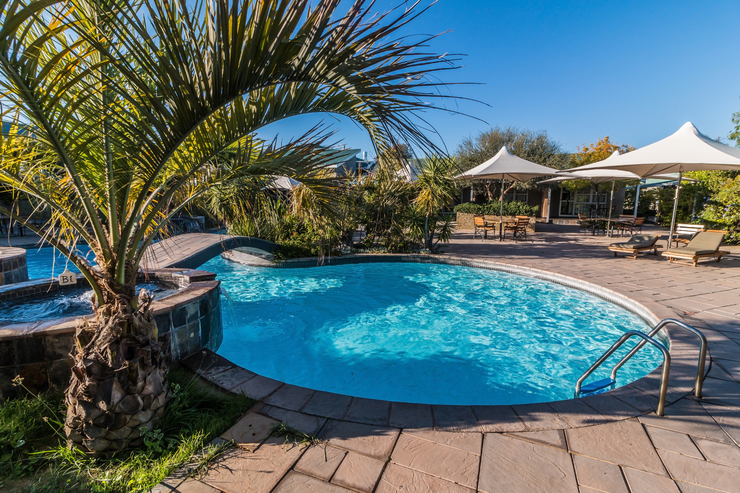 With over 50 rooms and 3 pools, the Namib Desert Lodge is great for big groups. Perks: Best in-house restaurant and bar in town. Luderitz is one of my all time favourite towns due to the preserved German homes and buildings, as well as access to the world famous ghost town – Kolmanskop. Located on the west coast of Namibia, Luderitz is well worth visiting for reserved German hospitality, great seafood and ghost town adventures. Perks: Town filled with wild gemsbok. Attractions: Long time De Beers mining town is officially open to the public. Oranjemund has been a diamond mining town owned by De Beers for over 100 years, but in more recent years been in co-ownership with the Namibian Government. Totally closed to all tourism until 2 years ago, the town is now officially open to those who are curious to see what the secretive town presents. I grew up here! So it was only natural to break up the journey from Luderitz to Cape Town. Perks: The most beautiful city in South Africa. Attractions: Table Mountain, wine farms, Lion’s Head. Home time! The final stretch. The near 800kms drive back to Cape Town is dead easy – straight down the N7 and into the mother city. Tarred all the way. Our initial plan was to travel from Etosha to Sossusvlei, via Omaruru and Swakopmund. Unfortunately, after consulting local experts, we were strongly advised against this route as it would be too dangerous in a Corsa.